Description: Usually stay solitary, mature plants are easily recognizable by their cephalium, that have a covering of wool and orange or red bristles, The immature plant looks like a smallish barrel cactus, and there is nothing in its appearance that would suggest a melocactus. M. zehentneri is a very variable species in size colour and form of the spines. Flowers: Small inconspicuous purple, self pollinating flowers grow at the top of the cephalium. 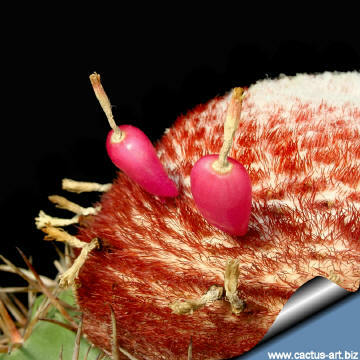 Fruit: White or pink clavate. 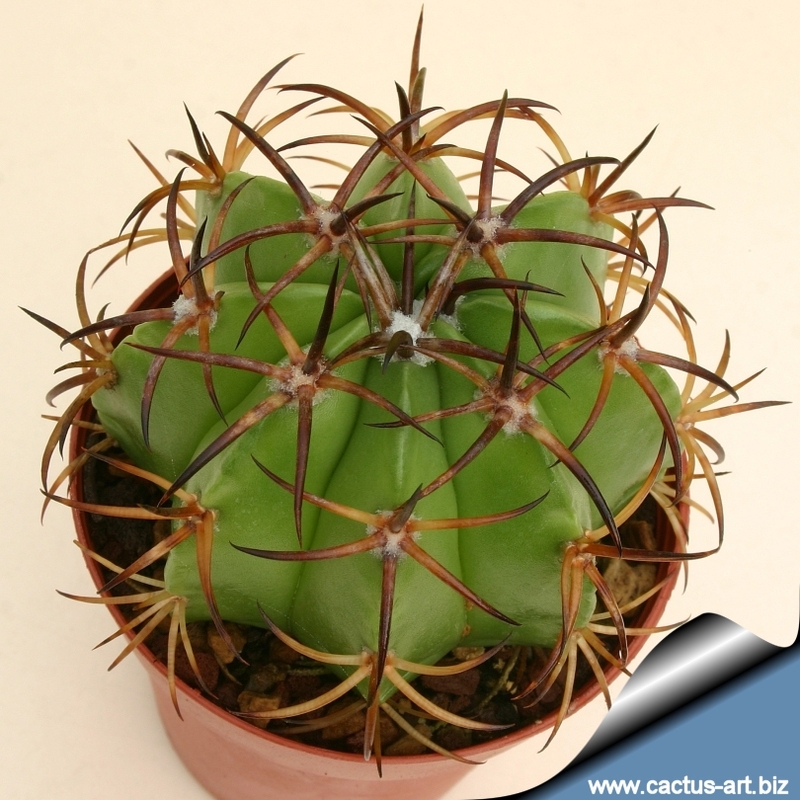 Cultivation: These cacti are not the easiest things to grow and aren’t plants for beginners. 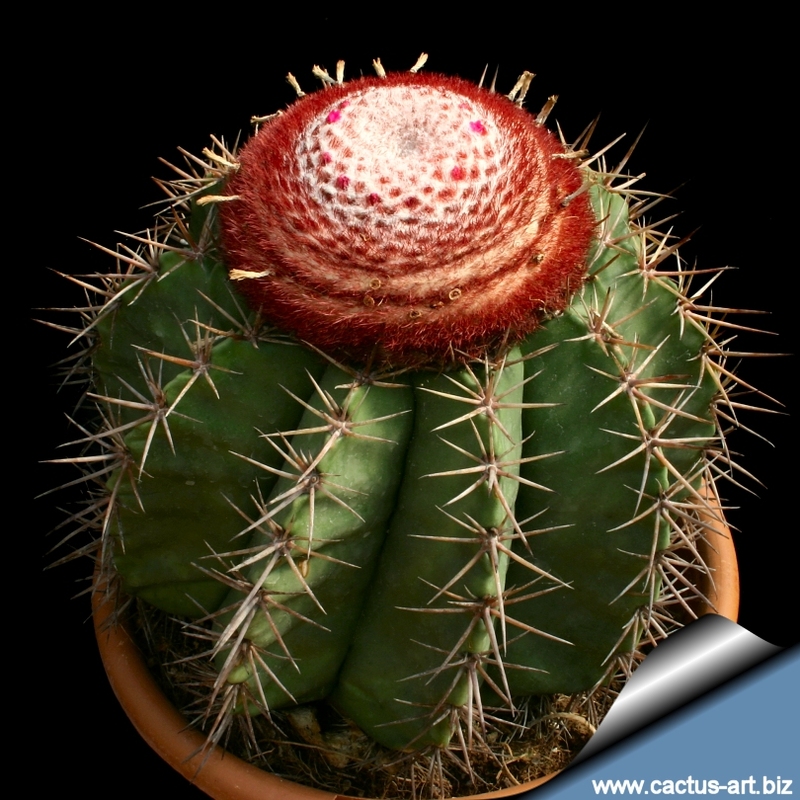 Melocactus zehentneri grows from April to October, it can’t endure long stretches of total dryness, and also too much water will rot it, as its weak root systems tends to be inefficient at sucking up water from wet soil. Nonetheless, again as a result of their tropical origins, they need a fair amount of water, but allow the soil to dry quite a bit before watering again. 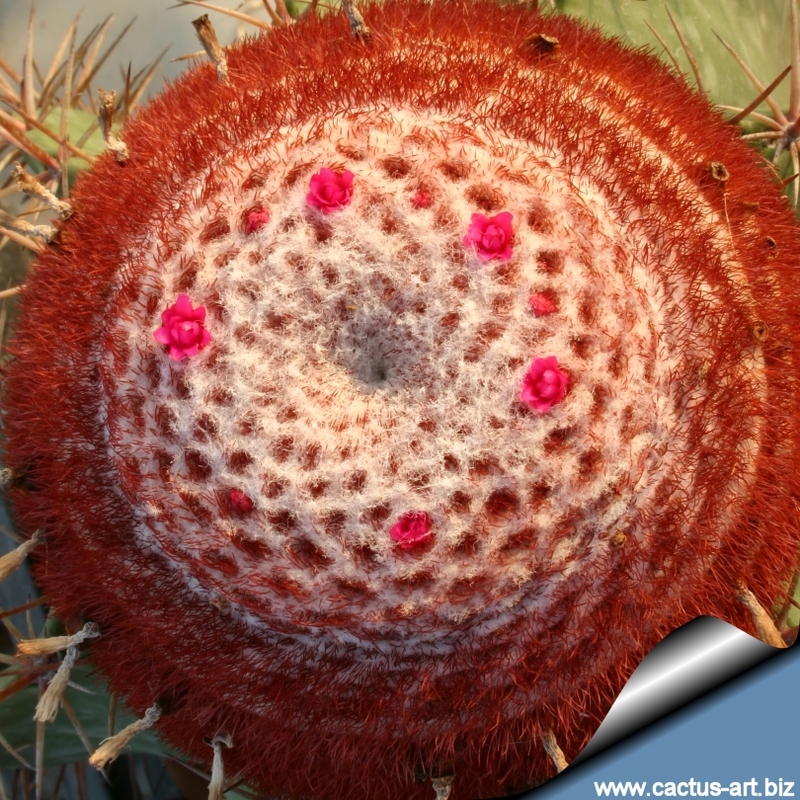 Melocactus rests from October to April but can’t stand cold, or even fairly cool temperatures, so is indispensable to keep it above 8-12°C at all times, severe damage or death occurring at temperatures that the great majority of cacti wouldn’t mind in the least and prefer more frequent water in winter than other cacti, say once a month. Do not feed in winter. Origin: Northeastern Brazil ( caatinga of Pernambuco State). Habitat and ecology : Grows just sit in narrow cracks of solid rook rows in dry areas where rainwater quickly disappears. 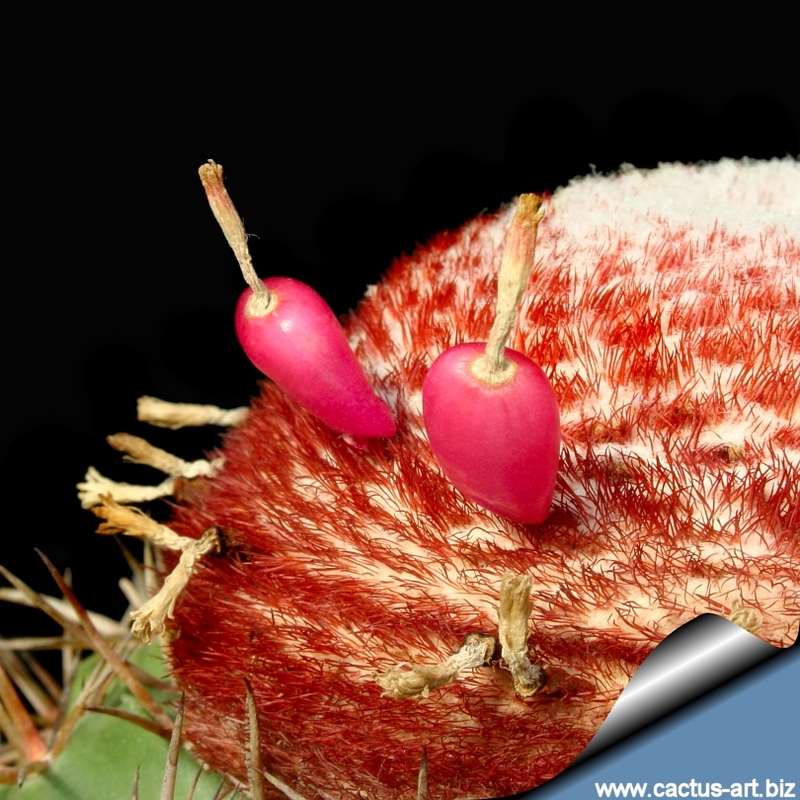 The fruit of this plant sometimes remain embedded inside the cephalium bristles, with seeds waiting, perhaps, for the parent plant to die and provide a bit of organic matter for them to germinate in their surprisingly inhospitable environments.